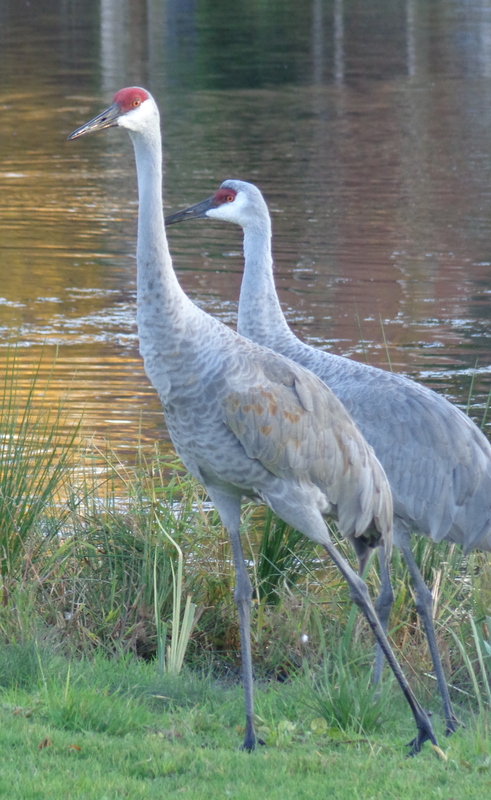 After seeing the sandhill cranes yesterday, I decided it would be a good idea to take my camera on my afternoon walk. 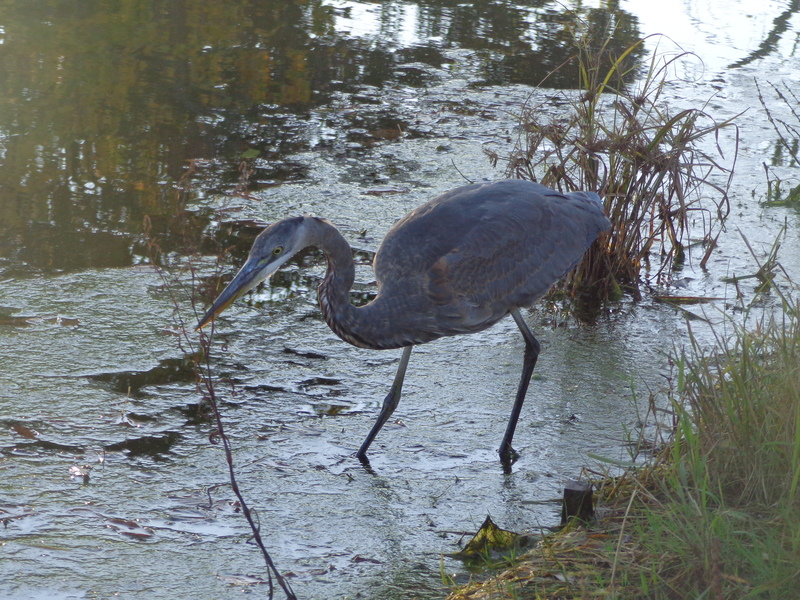 Usually, that would make all the birds go into hiding, but I found a heron hiding out behind the shore grass. 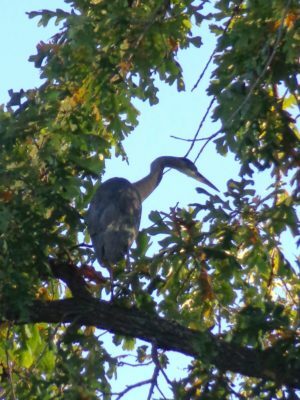 Herons don’t sound like dinosaurs, but they sure look like them. I stalked it as it stalked the fishes. 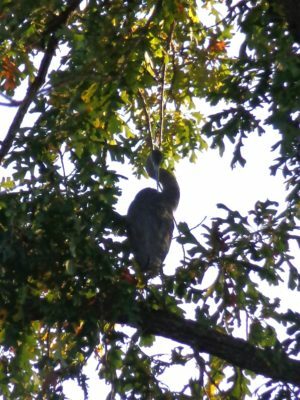 It eventually got tired of hunting or of me and flew to perch in a nearby tree. 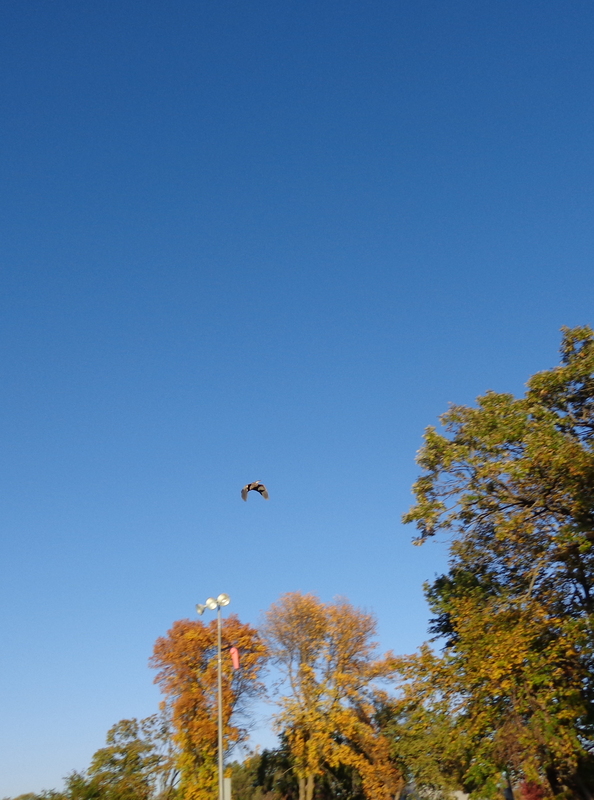 My hands began to get cold, so I decided to move on; I saw a second heron come flying. 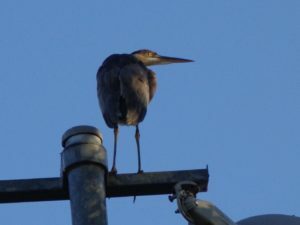 Heron #2 landed on a lightpole and scoped out the scene. 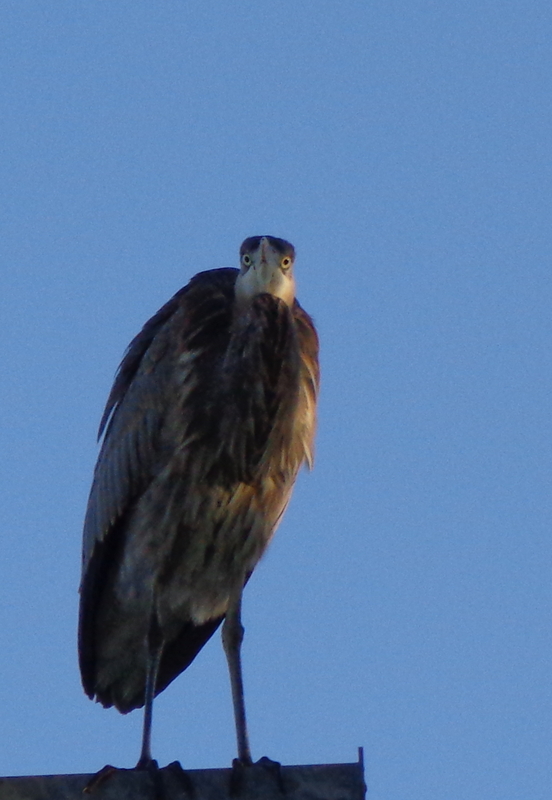 While I was taking photos of Heron #2, I heard dinosaur calls behind me. 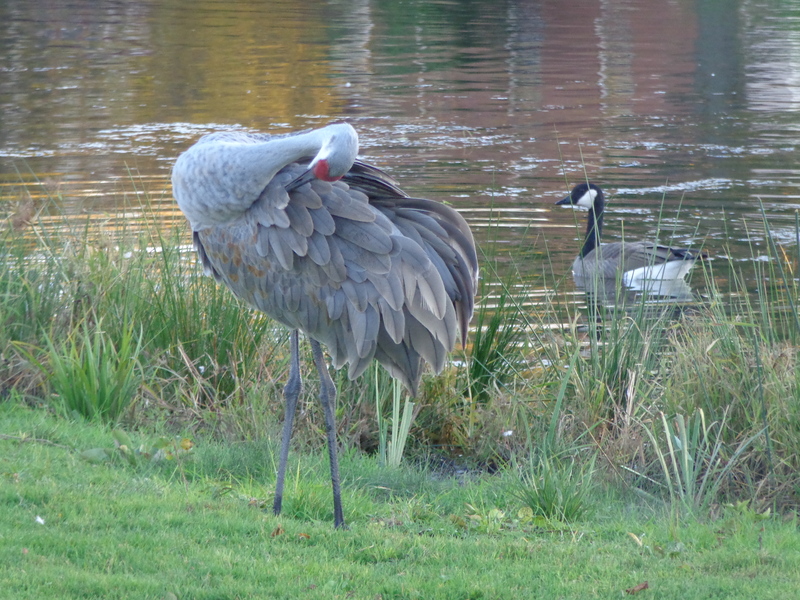 At first, I couldn’t find their source, but eventually the loud dinosaurs appeared on the shore of the nearby pond. Then they decided for a more distinguished pose.